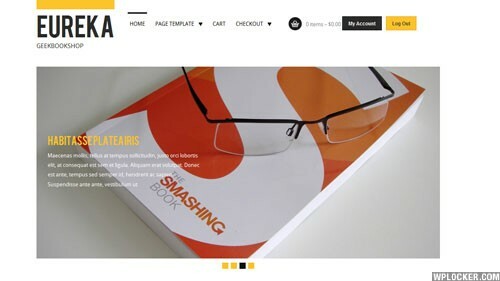 A white and clean WordPress e-commerce theme. Eureka supports popular e-commerce plugin and is mobile-ready. It is the satisfaction when you find just what you need. Building an online business is now only a click away. Eureka makes it easy for your visitors to watch the market and get the feel for the kind of things they want and need. They can surf for products that meet their specific criteria and price range. Because of its simple layout, Eureka is so easy to navigate.